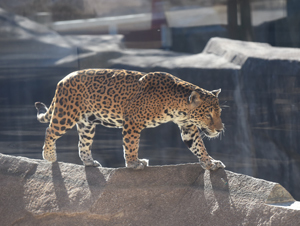 The Milwaukee County Zoo regrets to announce the death of one of its beloved residents, male jaguar, Pat. Due to kidney failure and subsequent quality of life concerns, the ~19-year-old jaguar was humanely euthanized Monday, Aug. 7. A wild-born animal, Pat arrived at the Zoo in 2008 from the Belize Zoo’s Jaguar Rescue Center. Pat became a visitor favorite, as his unique backstory in the rainforests of Belize, Central America, touched so many. The rescue center in Belize accepted Pat after he became known to kill domestic livestock in the farming areas which encroach into jaguar habitats. 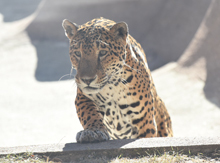 The Belize Zoo rehabilitated Pat (and other wild jaguars that preyed on livestock), acclimated him to people and found an appropriate home for him at MCZ. He transferred here in March 2008. Because Pat was born in the wild, and is unrelated to any captive jaguars, he added much needed genetic diversity to the captive jaguar population in U.S. zoos. Funding from generous donors allowed MCZ to modify Pat’s den and outdoor exhibit to safely accommodate his preference to perch in trees. During his time here, he sired four offspring. Zookeepers who worked with Pat at the Milwaukee County Zoo add that he had the ability to touch the hearts of those who met him, and inspired people not only here, but worldwide. He had a special quality that made him easy to connect with, and his keepers feel extremely privileged to have worked with him and share his story. It’s their hope his legacy continues on and inspires even more people to take a role in conserving these amazing animals and help Pat’s counterparts in the wild. Additional necropsy results will be forthcoming in the next few weeks to months. Pat served as an ambassador for jaguars in the wild, and will be greatly missed by both visitors and staff.